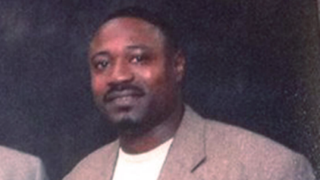 Mourners gathered Saturday at funeral in South Carolina to say goodbye to Walter Scott, a black 50-year-old father of four, who was senselessly gunned down by a white officer during a traffic stop last week. Hundreds assembled on a rainy afternoon at W.O.R.D. Ministries Christian Center in Summerville, S.C., to “celebrate his life and death as a catalyst for change in America,” CNN reports. Silence punctuated the sanctuary as Scott’s daughter Samantha read a poem of love dedicated to her father, whose casket was draped with a U.S. flag. He was a U.S. Coast Guard veteran. Scott’s death once again highlights the nation’s deep racial divide, which is writ large in police violence against blacks. Scott was killed a week ago in North Charleston after he was pulled over by since-fired Officer Michael Slager for a broken taillight. A passerby captured the ghastly arrest scene on cellphone video, and Slager was quickly charged with murder. On its face, the video recording did not match the report filed by Slager, which states that he fired at Scott because Scott had reached for the officer’s Taser. Slager faces life in prison or the death penalty if convicted of murder. Meanwhile, the Rev. Al Sharpton is expected to preach Sunday at Charity Missionary Baptist Church before attending a vigil near the scene of the shooting.